As an Authorized Gallery for all the major animation studios we guarantee the art we sell! 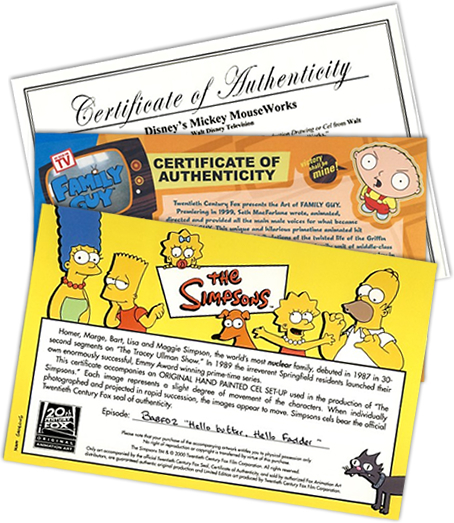 Each piece of animation art comes with a studio seal and certificate of authenticity. Note: Vintage art comes with a gallery issued certificate of authenticity.